The major share of the company’s focus is directed towards customer satisfaction. The aesthetic design and structure of the stores are done in such a way so as to give the customers the best shopping experience. In-depth knowledge of customer psyche, perfected store formats, product procurement, robust systems & processes result in profitable operations at the store. The company also strives to maintain strong relationships across the value chain including producers, importers, suppliers & employees in order to facilitate low attrition of store staff. Brand Association with gourmet retail & recall among NCR consumers - experimental marketing with footfalls generated through customer referrals. Each store is aesthetically designed and well stocked. The display is done keeping in mind ease of locating products and shopping. The products are stacked based on the type of ingredients and area of origin. 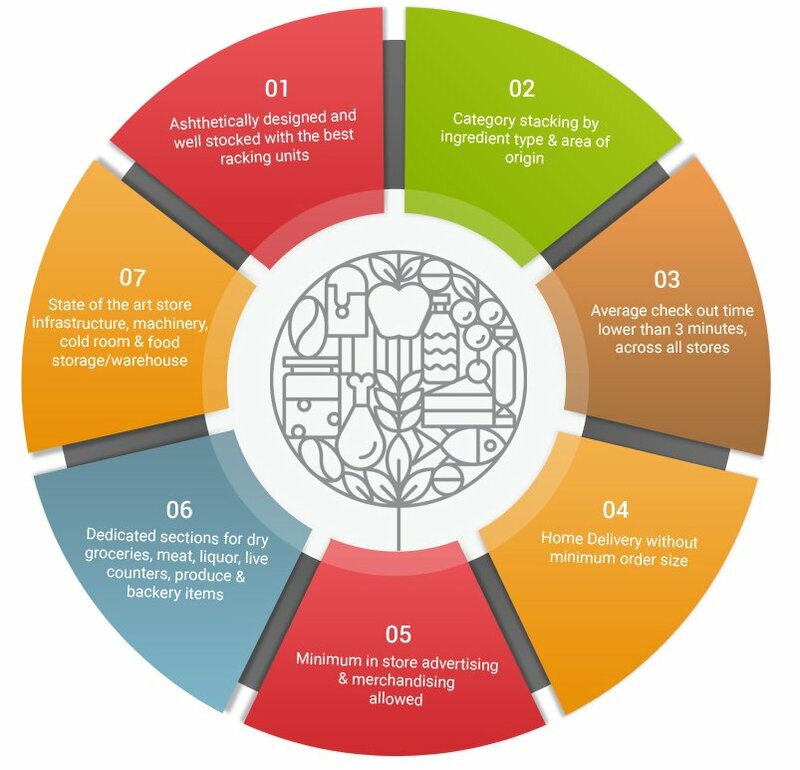 There are dedicated sections for dry groceries, meat and differentiated categories including liquor, live counters, fresh produce & bakery items. All perishable non-vegetarian and vegetarian food items are put in cold storage and under ideal conditions so as to preserve both nutrition and taste. The stores have well-designed check-out counters where the average check out time is lower than 3 minutes. Le Marche also does home delivery without a restriction on the minimum order size.